When Ben Simmons was finishing a degree in music, he got a job at a Thirsty Camel. There’s nothing too remarkable about that: students looking for income unrelated to their studies is pretty commonplace. That said, this Thirsty Camel was a little different to most. 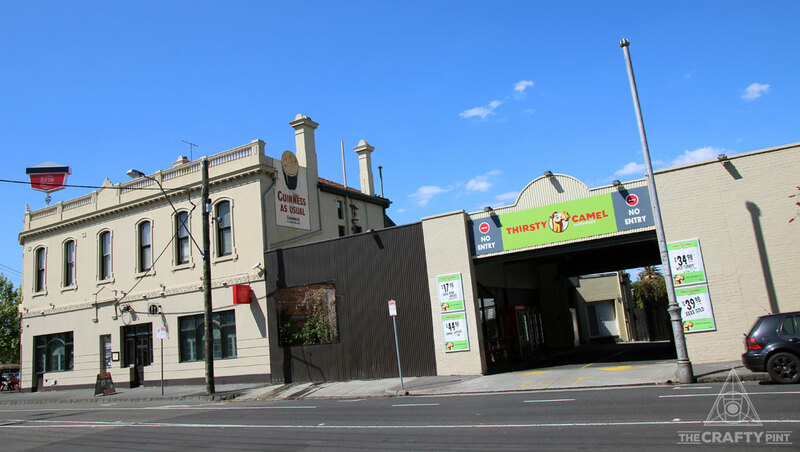 Being attached to the Clifton Hill Brewpub (see below), it stocked an impressively wide range of both local and international beers. The bottleshop's immediate proximity to a historic hotel that had just undergone a renovation to become a brewpub also meant Ben was practically surrounded by beer. Soon, he was to be immersed in it. 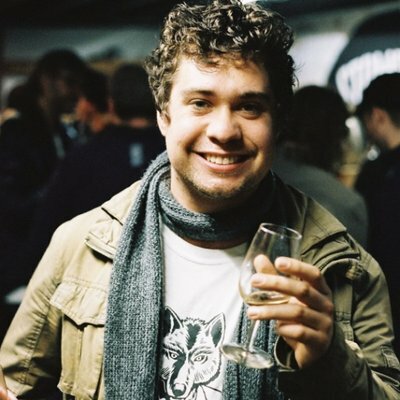 Already, Ben was a homebrewer who often talked beer and shared tips his mate Kristian Martin, both of whom had a passion for barrels and sour beers – a passion Kristian took with him when he started brewing at Mornington Peninsula Brewery. You can read his story in one of our previous Brew & As here. As for Ben, after work he would often spend time hanging around the brewpub, which eventually led to him cleaning and helping out at the brewery. Ultimately, this led him to brewing with La Sirène’s Costa Nikias, who had been brought in to install the brewery and design its first beers. After a short tutelage from Costa, Ben took over as head brewer. Since that time, he's led the brewery’s expansion from selling only four of its own beers to brewing almost every beer sold across the 16 taps – a wide and evolving range of styles interrupted only by mainstays Guinness and Carlton Draught (it was previously an Irish pub, after all). 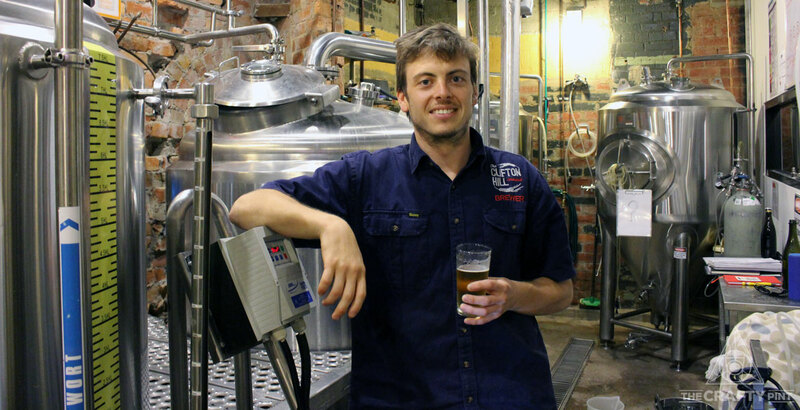 Much like his mate Kristian, Ben’s also steered the brewery’s barrel program, alongside his partner-in-beer, fellow Clifton Hill brewer Michael Leslie. Some of the small brewpub's more esoteric beers have started appearing in limited numbers of Brewer’s Reserve 750ml champagne style bottles too. The first of these, a Raspberry Gose, took out the top spot in our blind tasting of session sours. All of which seems like more than enough reason to invite Ben to tell us about his passion for beer and his love of sours in another Brew & A.
I bought a Coopers home brew kit ages ago with my brother. When it turned out terribly, I had to figure out why; that's what lead me down the rabbit hole. Not sure exactly, but I studied a Bachelor of Music before becoming a brewer and was looking at doing a Masters in Composition, so maybe unemployed composer? It was early on in my appreciation for craft beer and I'd never had a Belgian sour before. It was described to me as "the blue cheese of beers" and I was hooked. I got a job at the bottleshop next door to the brewpub and, soon after, a spot opened up to clean kegs, grain out and so on. I jumped at it and about a month after that I was asked if I wanted to learn to brew! Ben and Michael's Raspberry Gose heads the pack in our "session sours" blind tasting. It was a homebrew batch actually, a single hop Ella saison with second/third generation WLP565 [Belgian yeast]. I'm yet to recreate it. Brett – it constantly amazes me the drastic changes it can make to beer over time as well as the enormous variety of different flavours/aromas it can produce. We have a single keg of mushroom ale that's currently in a corny keg. We added dried mushrooms post fermentation; it's pretty full on so we added some Brett and are just going to wait and see how it plays out over time! 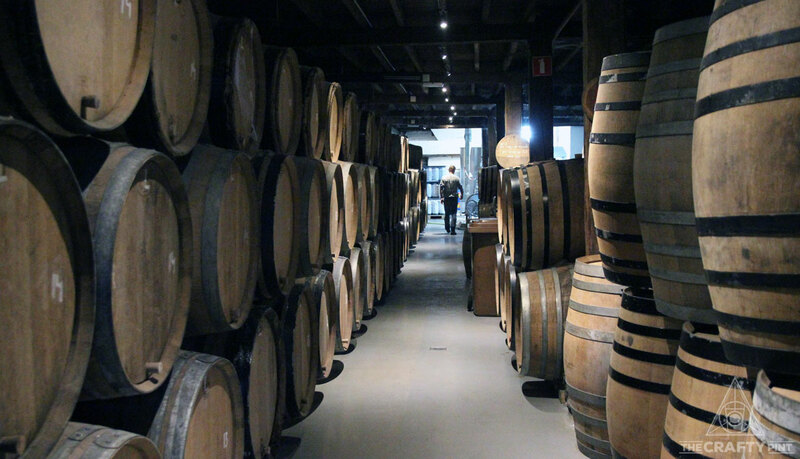 Inside Cantillon – Ben's inspiration and one of the places he'd love to work. Cantillon, 3 Fonteinen or Gueuzerie Tilquin. I'd love to sit down in front of glasses containing different vintages of lambic and get more of an insight into the blending processes. At the moment I'd have to say Dollar Bill Brewing; their Grand Cru MG is my favourite Australian sour I've had. The complexity they have achieved with their "Methode Gueuze" technique is deeply impressive. Cantillon – Cuvée Saint-Gilloise. You may lose the enamel off your teeth after the first week but if you're stuck on a desert island for the rest of your days I'd suggest you'd have larger concerns. A cocktail called Last Word. A ratio of 1:1:1:1 featuring gin, green Chartreuse, maraschino liqueur and lime juice. Shaken. You will be putting beer down the drain at some point; it's not a sign of failure, it's the sign of a brewer with standards. You can check out other Brew & A features here and look out for the launch of Clifton Hill Brewpub's second Brewer's Series beer, a Brett Saison – details here.